Though our One Book, One Philadelphia 2018-2019 season is now over, the Free Library will keep connecting readers through a shared text all spring long! We are thrilled to be launching an ambitious pilot program called Books for Rising Readers. With lead support from the William Penn Foundation and in partnership with Read by 4th, Books for Rising Readers will strengthen early literacy and school readiness for young Philadelphians across the city by uniting them in the experience of reading and enjoying Max and the Tag-A-Long Moon, a picture book by Coretta Scott King Award-winning illustrator and author Floyd Cooper. 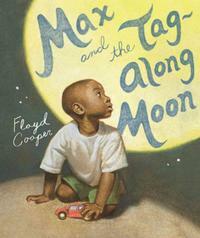 Depicting a meaningful intergenerational connection between grandfather and grandson, Max and the Tag-Along Moon shows the power of connection, love, and family bonding even during times of separation or through feelings of loneliness. 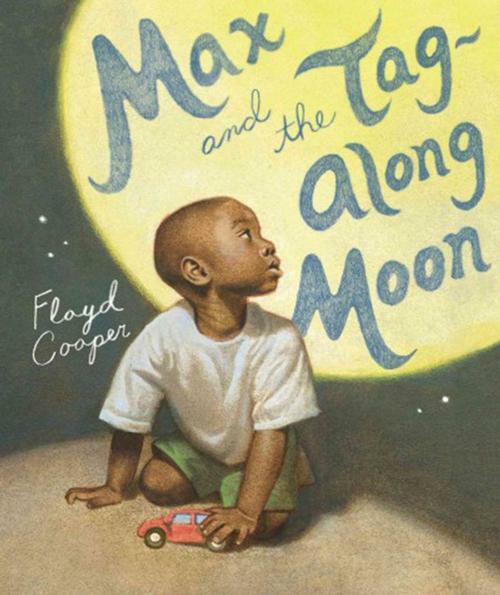 This spring, the Free Library will distribute more than 10,000 copies of Max and the Tag-A-Long-Moon to Pre-K through 2nd-grade students, their families, and teachers. Along with copies of the book for their own home libraries, Pre-K students (including those in Head Start and other early learning programs) will receive important information about Kindergarten registration and fun, engaging materials to help family members and others when reading the book at home. Books and supplemental materials will also be distributed to teachers in School District of Philadelphia K-2 classrooms and to staff in all Free Library neighborhood locations, to ensure that students all across the city are able to share in this one-of-a-kind reading experience. This is the first time that our city’s youngest readers will have a book selected specifically for them based on themes in this year’s One Book, One Philadelphia featured title (Sing, Unburied, Sing by Jesmyn Ward.) We couldn’t be more excited that Max and the Tag-A-Long Moon will be kicking off this exciting new initiative, and are so grateful to our partners in getting these books into the hands of families: the School District of Philadelphia’s Office of Early Childhood, the PHL Pre-K program of the Mayor’s Office of Education, and the staff of the early childhood care centers participating in the Free Library’s Literacy in Early Learning Spaces initiative, a program funded by the Vanguard Strong Start for Kids Program™. Finally, we’re happy to announce that author and illustrator Floyd Cooper will visit Philadelphia to help us launch Books for Rising Readers with a series of public programs in late March. Neighborhood libraries across the city will also offer public storytimes for children and families linked to Max and the Tag-A-Long Moon throughout March and April. Stay tuned for more details on these upcoming events. We hope you’ll plan to join us (and Max) at your local library in the coming weeks! 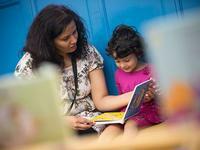 Books for Rising Readers citywide book distribution is launching this month! Pre-K students (including those in Head Start and other early learning programs) will receive important information about Kindergarten registration and fun, engaging materials to help family members and others when reading the book at home. 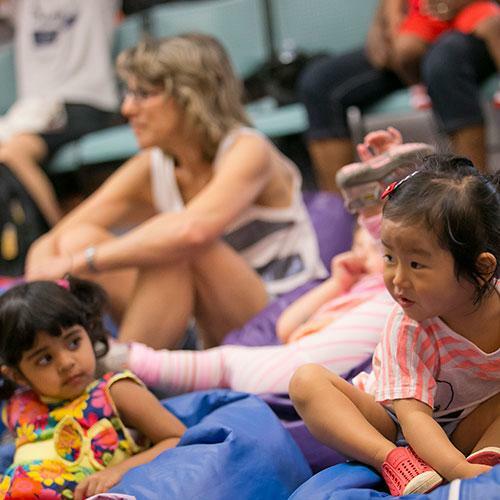 Neighborhood libraries across the city will offer public storytimes for children and families linked to Max and the Tag-A-Long Moon throughout March and April.